Want to get into one design racing? Includes Trailer in fair Condition with new axle, hitch and tongue jack. new running rigging, new covers for boat, rudder, hatch, and jib, 3 jibs in good condition, 2 mains, one dacron, one kevlar/Pentax, 4 spinnakers, 2 running, 2 VMG, all bells and whistles. Sailboat in very excellent condition! 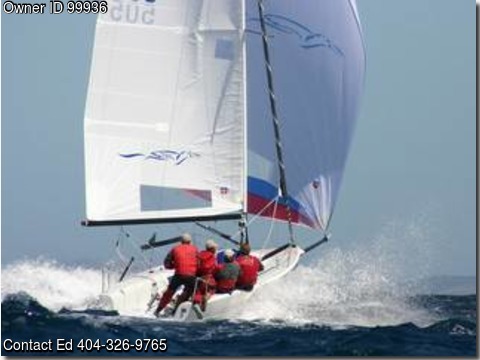 Sales will be person to person, cash transaction only,location at Lake Lanier Sailing Club.